It was never our intention to raise money. When Margot needed a bone marrow transplant, family and friends came together as Team Margot to help find her a matching donor and ask people to do something amazing: register as stem cell donors and encourage others to do the same. We explained how such a selfless act could save a life and that it could be our daughter’s. During Margot’s appeal we were careful not to confuse our public campaign with fundraising. We wanted our message to be clear. Nevertheless, we have come to realise that many people want to donate money and/or fundraise to support what we do, regardless of whether they have registered: some because they’re ineligible to register, others because they’ve been touched or inspired by Margot’s story / the efforts of Team Margot. Thanks to their efforts, Team Margot raised almost £300,000 in 2014 for the various charities we in turn support. That’s why we registered as a charity in early 2015 to continue to honour Margot’s legacy as a permanent Foundation. This enables us to better understand how funds are raised and donated – and to deploy them in the most beneficial ways. As a grant giving Foundation, we support people and projects close to our hearts – in particular families caring for child cancer patients. To find out more about how we have granted funds to date, please click here. However, Team Margot is still fundamentally about awareness & action: we campaign for every individual who is eligible, particularly those of mixed heritage, to register as a stem cell donor and bone marrow donor. Margot’s mixed family background was the key obstacle to finding her a perfect match. 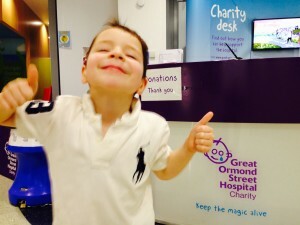 Margot’s family funded operations for the first year or so, however thanks to generous financial support and corporate grants, the costs of promotional items like lapel pins, wristbands and sporting kit is now paid for by the charity. We sell some of these items at donor registration events to help raise money for the charities we support. 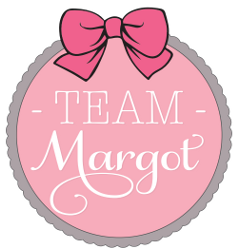 Should you wish to make a financial donation to Team Margot Foundation, please either click here or on the image above. Thank you. Everyone at Team Margot is an unpaid volunteer. We willingly give our time & energy and pay our own way to organise & run events, to fundraise and in our own time and our own way, spread the word. There are no salaries, admin fees or expenses paid by the charity. No clever accounting tricks. 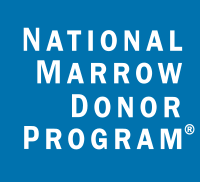 We do what we do because we want to make a difference: we want to help save the lives of all those people who, just like Margot and our family, never thought they’d need a bone marrow transplant. Over £275,000 raised for charity, before Team Margot Foundation was registered as a charity! In 2014, Team Margot raised money primarily for Delete Blood Cancer UK and for Great Ormond Street Hospital Children’s Charity. Both helped save Margot’s life and we count ourselves lucky to have had their support in our time of need. 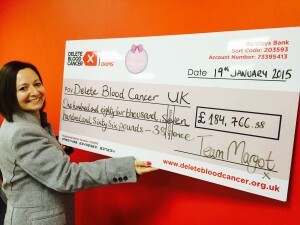 The funds raised for Delete Blood Cancer UK went towards helping to pay for the cost of registering potential donors onto the UK register (every registration costs the charity £40) and the money raised for Great Ormond Street Hospital Children’s Charity supported a specific leukaemia research project. Final Bridge Walk 2014 Fundraising Grand Total : £96,574.43 (£59,505.74 raised for GOSH & £37,068.69 raised for Delete Blood Cancer UK). Brilliant. A thank you from Margot for supporting our fundraising efforts for these two charities. We also fundraised for Anthony Nolan, to support their great work & in addition a two further charities: Shooting Star Chase Children’s Hospice Care – who provided their tranquil room for Margot’s body to rest, prior to cremation and Momentum – a local charity run by Bianca Effemey who was fantastically supportive & helpful to our family. 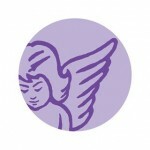 Thank you for all your wonderful support, fundraising efforts and generous donations.